Fester Cat spends the first twelve years of his life living on the streets in Levenshulme, Manchester. Knowing Paul and his partner, Jeremy live in this delightful neighborhood with a garden and a patio, he decides to pay a visit. His visits become more frequent and after a life on the streets, he decides to move in and live a more posh life with Paul and Jeremy. So the story of Fester Cat begins. Paul, already a writer, shares the memoir of their nearly seven years with Fester. He speaks through the mind of Fester, sharing Fester’s thoughts, opinions, and questions from the mind of a cat. The reader can almost imagine Fester walking through the house chatting away with Paul and Jeremy. Even the most trivial details of life with a cat are just the thing that Magrs made fascinating. Cat owners and animal lovers alike will be enamored with Fester and his life with Paul and Jeremy. As a cat owner, I found that I looked at our own cat differently. I was nodding along when Magrs described Fester’s quirky behaviors and the importance of a daily ritual for pets. I think the funniest story is Fester describing his first time at the vet and how the female vet tells Paul and Jeremy that Fester is most definitely a boy. Magrs nails the shock and embarrassment of a teenage boy into the mind of a cat. Fester is witty, smart, and funny and if he was human, he would be the life of any party. Anyone would be proud to have Fester living with them. The reader will cringe and feel the pain of a parent when Fester needs mouth surgery to care for his infected gums. I commiserated with the struggle to give Fester pills and will have to try their idea next time our cat needs medicine. As Fester lives his final days, I empathized with Paul and Jeremy as they made the emotional decision to let Fester go. Pet owners will understand the heartache of the owners, but also get a glimpse into what Magrs believes Fester felt in those final moments. It truly was a touching moment. 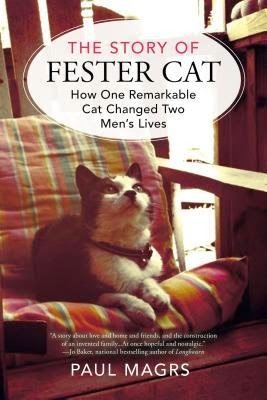 THE STORY OF FESTER CAT ultimately teaches us to live a happy life. Fester reminds us that a life with routine, treats, sunshine, naps and lots of love are all keys to living contentedly. It doesn’t take much to keep a cat happy. A few tickles behind the ear or on the chin and a cat will love you forever. Fester’s story will make you feel good and give you the opportunity to see your pet in a whole new way. 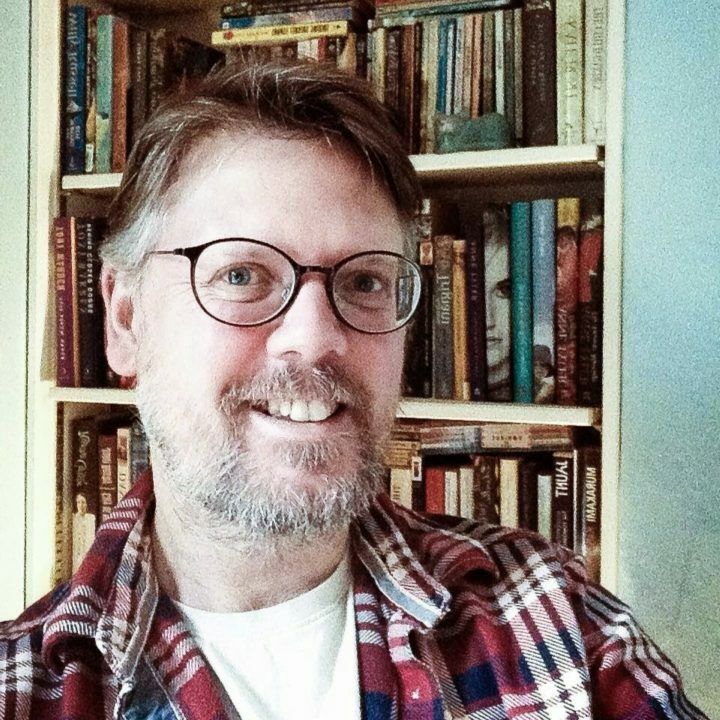 Paul Magrs is the author of many books, written for all ages and in many different genres, including the Adventures of Brenda and Effie and numerous Doctor Who novels, radio plays, and short stories. However, this is his first foray into memoirs. He taught novel writing in the MA program in Creative Writing at UEA, and then at Manchester Metropolitan. Paul lives in Manchester, England, with his partner, Jeremy, and is now a full-time writer. Paul Magrs first shared the story of Fester through his blog and Facebook page and then Fester’s story came to life through this book. For more on Paul Magrs, check out his blog, HERE. You can also find him on Facebook, HERE and Twitter, HERE. Thanks to Penguin Group for sending an ebook copy for the purpose of this review. This review is my honest opinion. I was not compensated in any way for this review. If you choose to purchase this book through the above link, I may receive a small commission without you having to pay a cent more for your purchase. Thanks for supporting SincerelyStacie.com reviews.